Photo: Kim Clijsters with her Babolat tennis racquet at the Top of the Rock Observation Deck at Rockefeller Center in New York City. Clijsters is preparing for her first Grand Slam tournament since coming out of retirement. The US Open starts Monday, August 31. Babolat, leading manufacturer of tennis racquets, welcomed tennis star Kim Clijsters to New York City for the U.S. Open. Just days before her first Grand Slam appearance since 2007, Clijsters posed for pictures with Eric Babolat, president and CEO of Babolat, at the iconic Top of the Rock Observation Deck at Rockefeller Center in New York City. With the picturesque Manhattan skyline as the backdrop, Eric Babolat personally welcomed Clijsters back to professional tennis. "We have been working together since 1999 when Kim was only 16 years-old. She's a player with outstanding athletic and personal qualities. Our relationship is based on mutual trust. We are very glad to be with her for her comeback on the Tour," said Eric Babolat. Today, Kim Clijsters will make her first Grand Slam appearance since pausing her professional career to devote time to her family. According to Babolat, Clijsters is returning with her familiar Babolat Pure Drive racquet in hand, strung with Babolat's VS Natural Gut. Clijsters expressed that "Babolat has always supported me during my career. When I made the decision to go back to competition, there was no question for me, it would be with Babolat. It's great to feel the sensation of my Pure Drive again!" Inventor of tennis racquet strings 134 years ago in Lyon, France, Babolat is among the world leaders in tennis racquets. Today, the brand includes a complete tennis offering for competition and club players alike: racquets, strings, shoes, bags, and accessories. 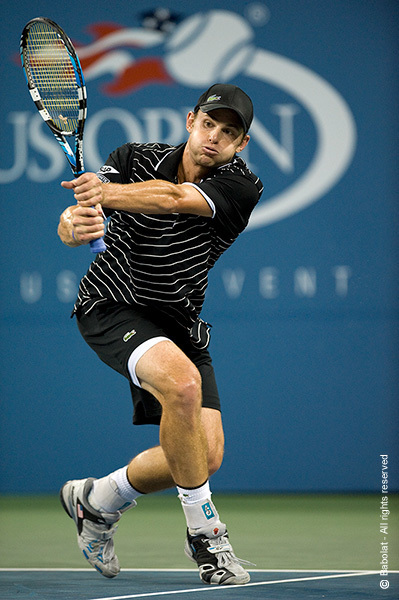 Babolat equips 20% of the top 100 players in the ATP and WTA including Rafael Nadal (Spain, #3 ATP), Andy Roddick (USA, #5 ATP) and Dinara Safina (RUSSIA, #1 WTA). 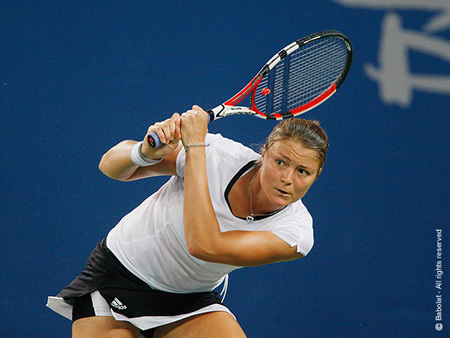 Kim Clijsters of Belgium, who won the U.S. Open women's title in 2005 before taking a sabbatical from tennis, defeated Caroline Wozniacki of Denmark, 7-5, 6-3, in the women's final on Sunday night (September 13, 2009) to reclaim the title. 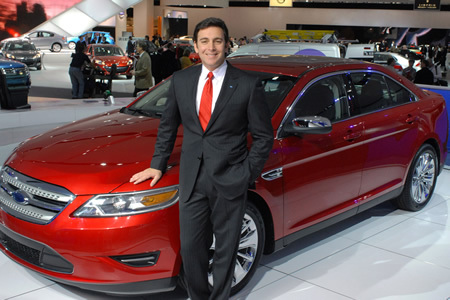 Photo: Mark Fields, Executive Vice President, Ford Motor Company Showcases 2010 Ford Taurus at New York Stop of 100-City Tour. Mark Fields, executive vice president and president of The Americas, Ford Motor Company, is in New York Friday, August 28, to showcase the all-new 2010 Ford Taurus for one stop of the company's 100-City Taurus Tour. Mr. Fields kicks off the Taurus publicity tour in New York by giving a speech at the New York Press Club at in the Associated Press Conference Center. 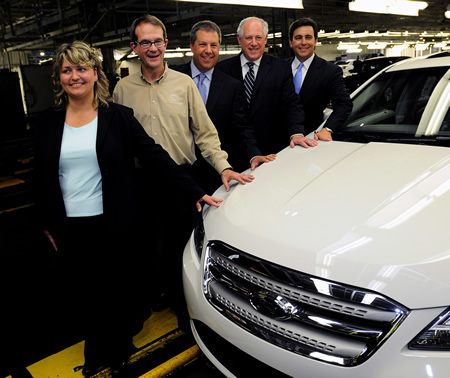 "The new Taurus sets the pace for Ford's growing new car launch momentum," said Mark Fields, president of The Americas. "This sedan completely redefines expectations of what Taurus stands for - and helps further define what Ford is capable of delivering - quality, fuel-efficient vehicles featuring the latest technologies and head-turning design." Mr. Fields is responsible for all operations involved in the development, manufacturing, marketing and sales of Ford, Mercury and Lincoln vehicles in the United States, Canada, Mexico and South America. Photo: Maria Sharapova unveils her new advertising campaign for Cole Haan. Just days before taking the court for the US Open Championships, tennis star Maria Sharapova unveiled her Maria Sharapova by Cole Haan collection of handbags and footwear - at Rockefeller Center in New York City. Fans, tourists, and onlookers burst into cheers as Sharapova was introduced by celebrity MC Quddus on a specially constructed stage where Maria unveiled her new advertising campaign for Cole Haan. "Everyone loves Maria. It's great to be working with her and adding a new dimension to Cole Haan's history," states Jim Seuss, Chief Executive Officer. "It's my hope that other young women will embrace the spirit of the collection; it's fun, chic, fashionable and most importantly, able to take you from day to night," says Sharapova. The Maria Sharapova by Cole Haan footwear collection, featuring Nike Air technology, includes a ballet flat, an ankle-wrapped stiletto, a flat over-the-knee boot, an ankle bootie and a strappy platform sandal. Cole Haan, a wholly owned subsidiary of Nike, Inc., is a style and luxury brand offering handcrafted men's and women's footwear, accessories and outerwear. 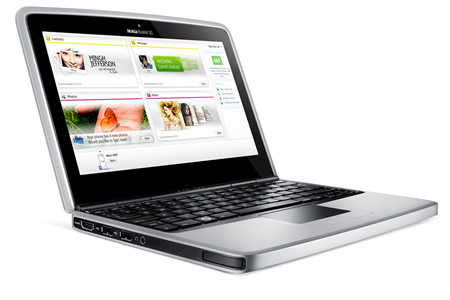 • Nokia is bringing its rich mobility heritage and knowledge to the PC world with the new, Windows based, Nokia Booklet 3G. This was announced by Nokia at its headquarters in Espoo, Finland. "Powered by the efficient Intel Atom processor," says Nokia, "The Nokia Booklet 3G delivers impressive performance with up to 12 hours of battery life, enabling people to leave their power cable behind and still be connected and productive." 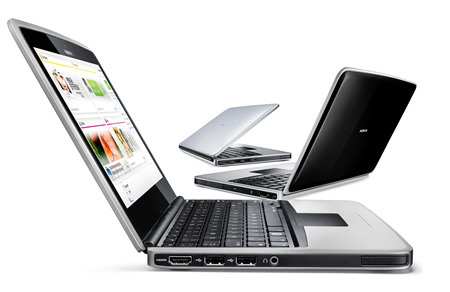 Delivering the rich experience of a full-function PC inside an ultra-portable aluminum chassis, the new mini-laptop weighs 1.25 kilograms, measures slightly more than two centimeters thin, and has the features one would expect from the world's leading mobile device manufacturer. 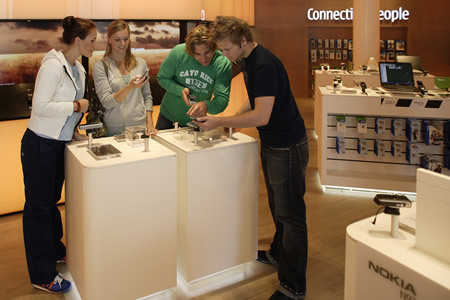 A broad range of connectivity options - including 3G/ HSPA and Wi-Fi - gives consumers high speed access to the Internet, including Nokia's broad suite of Ovi services. "A growing number of people want the computing power of a PC with the full benefits of mobility," said Kai Oistamo, Nokia's Executive Vice President for Devices. "We are in the business of connecting people and the Nokia Booklet 3G is a natural evolution for us. Nokia has a long and rich heritage in mobility and with the outstanding battery life, premium design and all day, always on connectivity, we will create something quite compelling. In doing so we will make the personal computer more social, more helpful and more personal." While the Nokia Booklet 3G would widen the Nokia portfolio in its move towards becoming a mobile solutions company, further information, including detailed specifications, market availability and pricing, will be announced by Nokia at 'Nokia World, Stuttgart' on September 2. • On August 12, Microsoft and Nokia announced that they will collaborate to bring Microsoft Office Mobile and related communications and collaboration software and services to Nokia smartphones. Under the terms of the agreement, the two companies will begin collaborating immediately on the design, development and marketing of productivity solutions for the mobile professional, bringing Microsoft Office Mobile and Microsoft business communications, collaboration and device management software to Nokia's Symbian devices. These solutions will be available for a broad range of Nokia smartphones starting with the company's business-optimized range, Nokia Eseries. The two companies will also market these solutions to businesses, carriers and individuals. "With more than 200 million smartphone customers globally, Nokia is the world's largest smartphone manufacturer and a natural partner for us," said Microsoft Business Division President Stephen Elop. "Today's announcement will enable us to expand Microsoft Office Mobile to Nokia smartphone owners worldwide and allow them to collaborate on Office documents from anywhere, as part of our strategy to provide the best productivity experience across the PC, phone and browser." Apple has announced that Mac OS X v10.6 Snow Leopard(TM) will go on sale Friday, August 28 at Apple's retail stores and Apple Authorized Resellers, and that Apple's online store is now accepting pre-orders. "Snow Leopard builds on our most successful operating system ever and we're happy to get it to users earlier than expected," said Bertrand Serlet, Apple's senior vice president of Software Engineering. 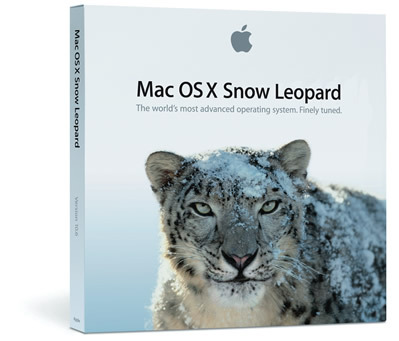 "For just $29, Leopard users get a smooth upgrade to the world's most advanced operating system and the only system with built in Exchange support." "To create Snow Leopard," says Apple, "Apple engineers refined 90 percent of the more than 1,000 projects that make up Mac OS X. 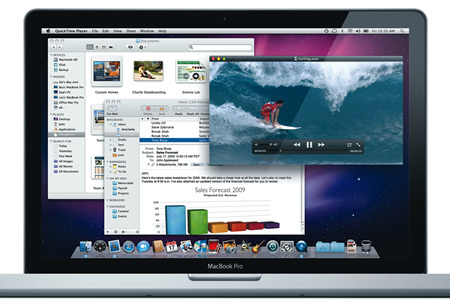 Users will notice refinements including a more responsive Finder(TM); Mail that loads messages up to twice as fast; Time Machine with an up to 80 percent faster initial backup; a Dock with Expose integration; QuickTime X with a redesigned player that allows users to easily view, record, trim and share video; and a 64-bit version of Safari 4 that is up to 50 percent faster and resistant to crashes caused by plug-ins. Snow Leopard is half the size of the previous version and frees up to 7GB of drive space once installed." 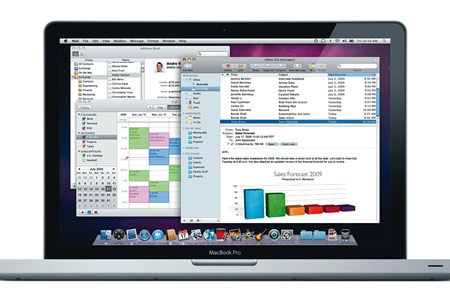 Snow Leopard builds on a decade of OS X innovation and success with hundreds of refinements, new core technologies and out of the box support for Microsoft Exchange. The Procter & Gamble Company and Warner Chilcott plc today announced an agreement for the sale of P&G's global pharmaceuticals business to Warner Chilcott for an up-front cash payment of $3.1 billion. Under the terms of the agreement, Warner Chilcott, a leading specialty pharmaceuticals company, will acquire P&G's portfolio of branded pharmaceutical products, including Asacol HD (mesalamine) Delayed-Release Tablets for ulcerative colitis, Actonel (risedronate sodium) for osteoporosis, and the co-promotion rights to Enablex (darifenacin) for the treatment of overactive bladder, as well as P&G's prescription drug product pipeline and manufacturing facilities in Puerto Rico and Germany. In addition, the majority of the 2,300 employees working on P&G's pharmaceuticals business are expected to transfer to Warner Chilcott. 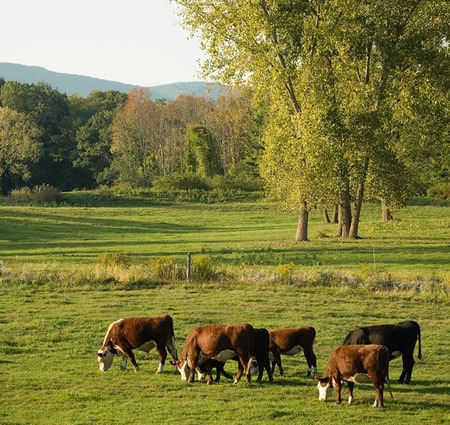 Both companies expect the transaction to close by the end of the 2009 calendar year, pending necessary regulatory approvals. "The acquisition of the P&G pharmaceutical brands and employee talent is a transformational, strategic move for us," said Roger Boissonneault, president and chief executive officer of Warner Chilcott. 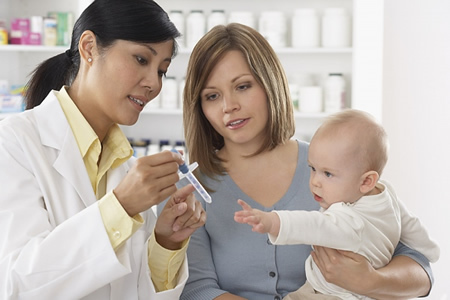 "The acquisition transforms Warner Chilcott into a global pharmaceutical company." "This move enables us to focus singularly on winning in consumer health care - Personal Health Care, Oral Care and Feminine Care," said Bob McDonald, president and chief executive officer of Procter & Gamble. Warner Chilcott's legal advisor is Davis Polk & Wardwell, LLP and lead financial advisors are J.P. Morgan Securities Inc. and Morgan Stanley & Co. Incorporated. Also advising Warner Chilcott are BofA Merrill Lynch, Credit Suisse Securities (USA) LLC, Barclays Capital Inc. and Citigroup Global Markets Inc. Procter & Gamble's financial advisor is Goldman Sachs and its legal advisor is Covington & Burling, LLP. New edition includes specialty rankings and online guides for admission and paying for college. U.S. News Media Group today released the 2010 edition of America's Best Colleges, which includes rankings of more than 1,400 schools nationwide USA. Harvard University and Princeton University tie the top of the list for Best National Universities, while Williams College is ranked top for Best Liberal Arts College. Over the past 26 years, the U.S. News college rankings, which groups schools based on categories created by the Carnegie Foundation for the Advancement of Teaching, has grown to be the most comprehensive research tool for students and parents considering higher education opportunities. The America's Best Colleges ranking package, which includes editorial content and multimedia resources, is helping families navigate the difficult decisions involved throughout the college process, from college admission and selection to financing options. "As it becomes increasingly difficult to choose the right school - and pay for it - U.S. News strives to provide students and families with the best information to help guide them through the entire college process," said U.S.News & World Report Editor Brian Kelly. "This year, the recession has seriously challenged the traditional model of paying for college, and so we've developed ranking and editorial content to address the many ways to finance an education as well as information on how to get the most out of such a big investment." Photo: Stanford University student Kristen Lence studies on her Apple MacBook on the Stanford University campus in Palo Alto, California. The 2010 America's Best Colleges features the established rankings of the Best National Universities, Best Liberal Arts Colleges, and Best Historically Black Colleges, and includes rankings of Best Colleges for Financial Aid, A+ Schools for B Students, and Up-and-Coming Schools. The 2010 America's Best Colleges package provides thorough examination of how more than 1,400 accredited four-year schools compare on a set of 15 widely accepted indicators of excellence. Among the many factors weighed in determining the rankings, the key measures of quality are: peer assessment, graduation and retention rates, faculty resources, student selectivity, financial resources, alumni giving, and graduation rate performance (National Universities and Liberal Art Colleges). 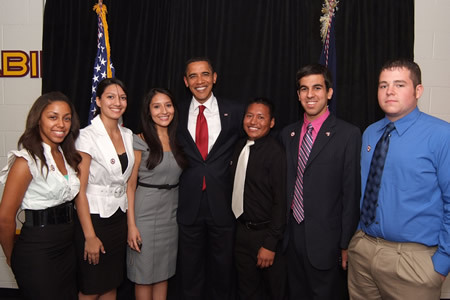 Photo: President Barack Obama poses with six of the Barack Obama Scholars at Arizona State University commencement. The U.S. News Media Group is a multi-platform publisher of news and analysis. "A child is not a vase to be filled, but a fire to be lit." 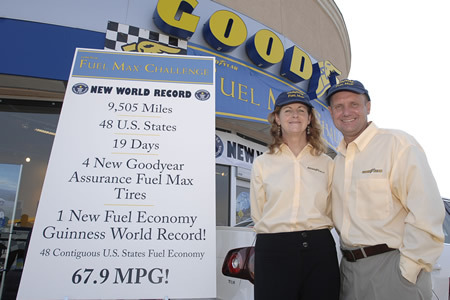 Photo: Helen & John Taylor (of Melbourne, Australia), holders of more than 80 fuel economy and driving world records, finish the Goodyear Fuel Max Challenge journey through the United States by crossing the ceremonial finish line at Virginia Tire & Auto in Ashburn, VA. After a three week, 9,505 mile drive touching all 48 contiguous U.S. states, the Taylors arrived Tuesday, August 18, having set a new Fuel Efficiency Guinness World Record of 67.9 mpg, shattering the 58.8 mpg they set last year. In a display of fuel economy, two drivers from Australia have broken the "48 Contiguous U.S. States Fuel Economy Guinness World Record," driving a car equipped with Goodyear Assurance Fuel Max tires. This three-week, 9,000+ mile drive through all 48 contiguous states in the U.S., showcased the potential fuel savings from the breakthrough fuel-efficient tread compound found in the new tires. The couple refueled the car at Shell-branded stations along the way. Shell, a global leader in diesel technology, was the fuel sponsor of the Taylor's 2009 Guinness World Record attempt. In the U.S., Shell is the best-selling fuel brand and has the widest availability of diesel. "While our own testing shows just how fuel-efficient these new tires are, we wanted to provide a real-world example of the difference Fuel Max Technology can make," said Mark Cherveny, Goodyear brand manager, passenger tires. "Helen and John Taylor broke their own world record set last year, using the same car, the same fuel, and traveling the same route. We believe the difference this year is the set of Assurance Fuel Max tires." 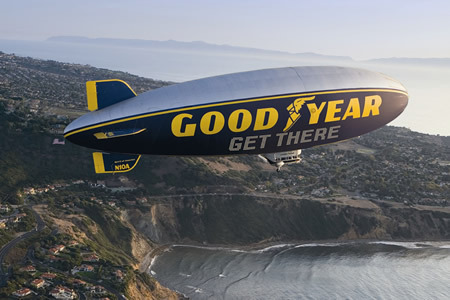 Photo: The Goodyear Tire & Rubber Company Blimp. The Goodyear Tire & Rubber Company has been recognized as America's most respected automotive company by the Reputation Institute (RI) and Forbes magazine. RI's Global Pulse consumer opinion survey measures the overall respect, trust, esteem, admiration and good feelings consumers hold toward the world's largest companies. Goodyear is one of the world's largest tire companies. It employs approximately 71,000 people and manufactures its products in more than 60 facilities in 25 countries around the world. Photo: A short takeoff/vertical landing variant of the Lockheed Martin F-35 Lightning II takes on fuel from a KC-130 tanker near Fort Worth on Aug. 13. The fuel transfer marked the first time an F-35 has used the Navy- and Marines-style probe-and-drogue refueling system. (Foto: Lockheed Martin Aeronautics Company, Liz Kaszynski). Headquartered in Bethesda, Md., Lockheed Martin is a global security company that employs about 146,000 people worldwide and is principally engaged in the research, design, development, manufacture, integration and sustainment of advanced technology systems, products and services. "The F-35 program is on the cusp of a tremendous expansion in flight test as a large number of new aircraft enter the test fleet this year and early next year," said Dan Crowley, Lockheed Martin executive vice president and F-35 program general manager. "This milestone will help ensure that we fill the pipeline between Fort Worth and Pax River with F-35s and maintain our flight-test tempo." During Thursday's flight, the F-35B designated BF-2 (the second STOVL flight test aircraft), began a series of tests in which fuel is uploaded into the aircraft at 10,000, 15,000 and 20,000 feet, at speeds ranging from 200 to 250 knots. 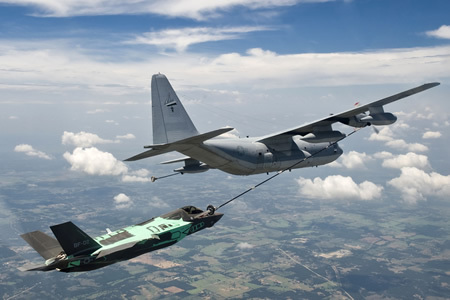 The refueling mission also marked the first time a Lockheed Martin KC-130J tanker has been used to refuel an F-35. As the company explains, probe-and-drogue refueling employs a flexible hose that trails from the tanker aircraft. The basketlike drogue at the end of the hose connects to the receiving aircraft's probe, which, in the case of the F-35, resides on the right side of the forward fuselage and retracts when not in use. The U.S. Navy, Marine Corps and the air forces of many other countries use the probe/drogue system, while the U.S. Air Force refuels its aircraft via a rigid flying boom that inserts into a receptacle on the receiving airplane. The Lockheed Martin F-35 and F-22 are 5th generation fighters, characterized by a combination of advanced stealth with supersonic speed and high agility, sensor fusion, network-enabled capabilities and advanced sustainment. The three F-35 variants are derived from a common design, are being developed together and will use the same sustainment infrastructure worldwide, bringing economies of commonality and scale. Lockheed Martin informs that it is developing the F-35 with its principal industrial partners, Northrop Grumman and BAE Systems. Two separate, interchangeable F-35 engines are under development: the Pratt & Whitney F135 and the GE Rolls-Royce Fighter Engine Team F136. Photo: Chicago Assembly Plant Celebrates New 2010 Ford Taurus Aug. 4, 2009; (left to right) Jan Allman, Chicago Assembly plant manager, Bob King, UAW vice president, Joe Hinrichs, group vice president, global manufacturing and labor affairs, Ford Motor Company, Pat Quinn, Governor, State of Illinois and Mark Fields, president of the Americas, Ford Motor Company at Chicago Assembly Plant during the 2010 Ford Taurus celebration. Photo by: Sam VarnHagen/Ford Motor Co.
• Ford is increasing North American production by another 10,000 units to 495,000 units in the third quarter as it builds more fuel-efficient vehicles to meet "Cash for Clunkers" demand. Ford's planned third quarter production now exceeds year-ago production levels by 18 percent. • Ford, the UAW and suppliers are working together to ramp up production of the Escape small utility vehicle at Kansas City (Mo.) Assembly Plant and the Focus compact car at Wayne (Mich.) Assembly Plant through additional production shifts and increased overtime. • Ford plans to produce 570,000 vehicles in the fourth quarter, a 33 percent increase versus year-ago levels and 15 percent above planned third quarter 2009 levels. The increase represents higher production across a range of cars, crossovers and trucks. • After gaining U.S. market share in nine of the past 10 months and posting a year-over-year sales increase in July, Ford is off to a fast start in August due to continued strong demand for popular new products and the extended "Cash for Clunkers" program. 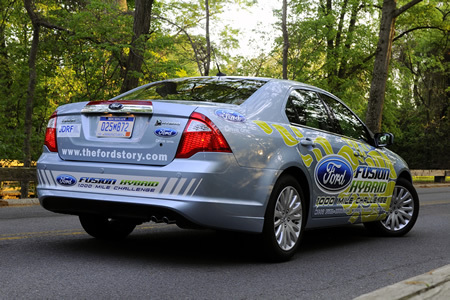 Photo: The 2010 Ford Fusion Hybrid 1,000 Mile Challenge car in Alexandria, VA. 27, April, 2009. Photo by: Sam VarnHagen, Ford Motor Co.
At its Dearborn Michigan headquarters, Ford Motor Company announced on Aug. 13, 2009 that it is increasing North American production in the third and fourth quarters to respond to growing demand for new Ford products and to ensure dealers are well stocked with fuel-efficient vehicles eligible for the "Cash for Clunkers" program. Ford is increasing third quarter production by another 10,000 units to 495,000 units primarily to build additional Escape small utility vehicles and Focus small cars, the two most popular Ford vehicles under the federal government's "Cash for Clunkers" program. Ford's planned third quarter production is now 18 percent above third quarter 2008 production levels. Ford also announced plans to produce 570,000 vehicles in the fourth quarter, 33 percent higher than year-ago levels and 15 percent above the third quarter production plan. The increase represents higher production across a range of cars, crossovers and trucks. "Under the 'Cash for Clunkers' program, the Ford Escape and Focus are flying off dealer lots, and we're doing all we can to ensure our dealers are well stocked with the fuel-efficient vehicles that customers really want [and need]," said Mark Fields, Ford's president of The Americas. "We also are planning a significant increase in fourth quarter production compared with last year, continuing to match production to the real demand. We'll need this additional production as even more people are drawn to our high-quality, fuel-efficient lineup, including our newest entries such as the Ford Taurus and Lincoln MKT." Ford is working closely with the UAW and its suppliers to ramp up production of the Escape and Focus. At the Kansas City (Mo.) Assembly Plant, for example, employees agreed to work Friday and Saturday, Aug. 21-22, during what was a planned shutdown week. In August and September, Ford will build approximately 3,500 additional Escapes. Photo: 2009 NASCAR Sprint Cup Series, Sonoma, California , USA, June 20, 2009. 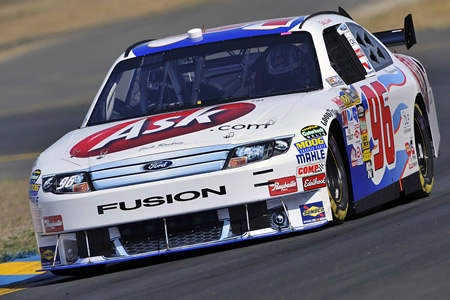 Bobby Labonte's Ford Fusion glides through turn 10. ©2009, autostock, USA. At Wayne (Mich.) Assembly Plant, Ford is increasing Focus production by more than 6,000 units in the third quarter through increased overtime Monday through Friday and adding Saturday production shifts. "This is a team effort with the UAW and our suppliers to meet the demand for fuel-efficient vehicles," said Joe Hinrichs, Ford group vice president, Global Manufacturing and Labor Affairs. "We asked our union partners to pull out all the stops - overtime, Saturday shifts, working during the shutdown - and they have delivered." 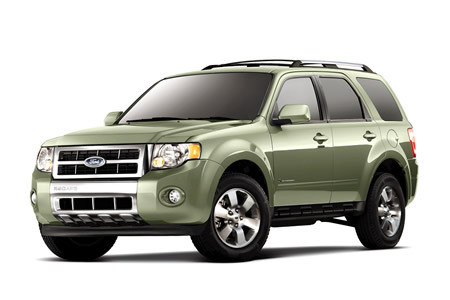 Photo: 2010 Ford Escape Hybrid: For 2010, Ford Escape Hybrid adds five new features that improve safety, reduce driver distractions and aid drivers. Integrated Blind Spot Mirrors, MyKey™, a Rear View Camera System and Active Park Assist are all now available to Escape Hybrid owners, and Escape Hybrid is one of the first Ford vehicles to feature the latest-generation hands-free SYNC system - now with Traffic, Directions & Information - helping reducedistractions while accessing important route and safety information. The effort to meet "Cash for Clunkers" demand has required close coordination among Ford's sales and marketing, purchasing, manufacturing and material planning and logistics divisions. While increasing production, Ford also is "reprioritizing" vehicle shipments to ensure that vehicles in high demand, such as the Focus, Escape and Fusion, arrive at dealerships quickly. 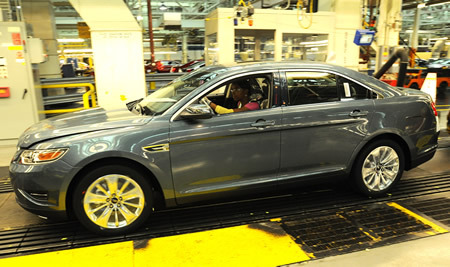 Photo: Chicago Assembly Plant Celebrates New 2010 Ford Taurus August 4, 2009. Photo by: Sam VarnHagen/Ford Motor Co.
"Our carriers have been instructed to load Focus, Escapes and Fusions first," said Ken Czubay, Ford's vice president of U.S. Marketing, Sales and Service. "We want to ensure that dealers have an uninterrupted flow of product, because in many cases, they are selling them as soon as they arrive on the lot." The fourth quarter production plan represents an increase of 75,000 vehicles versus the third quarter. The increase, which includes several Ford cars, crossovers and trucks, will help Ford rebuild inventories of key products. "As we gain momentum with strong new products - with top fuel economy, quality, technology and safety - we are in a position to increase our production and deliver profitable growth over time," Fields said. Sargent and The Sea Opens at Corcoran Gallery of Art, Washington, D.C.
Photo: Beginning September 12, the Corcoran Gallery of Art in Washington, D.C. will feature more than 80 paintings, watercolors, and drawings depicting seascapes and coastal scenes from the early career of the pre-eminent late 19th century American expatriate painter John Singer Sargent (1856-1925). Photo Credit: John Singer Sargent, En Route pour la peche (Setting Out to Fish), 1878, oil on canvas. Corcoran Gallery of Art, Washington, DC. The exhibition will place the sea on center-stage and highlight the impact it had on Sargent's career, the development of his style, and his artistic preferences. Organized by the Corcoran Gallery of Art, Sargent and the Sea brings together the artist's early beach scenes and will be the first to examine, in great depth, the little explored marine paintings and drawings produced during the first five years of the artist's career. 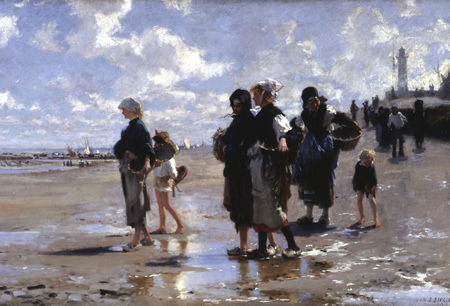 A focal point of the exhibition is the Corcoran's masterwork En Route pour la peche (Setting Out to Fish), 1878, which will be accompanied by other works produced during, and inspired by, Sargent's summer journeys from his home in Paris to Brittany, Normandy, and Capri, as well as two transatlantic voyages. While Sargent is best known for his society portraits, Sargent and the Sea will focus on his personal passion for the sea and his knowledge of seafaring. Sargent's two paintings depicting fisherfolk at Cancale (1878, Corcoran Gallery of Art and Museum of Fine Arts, Boston) are central works in the canon of the artist's early career. However, recent discoveries of three important seascapes, and the location of other pictures previously untraced, have cast a new spotlight on Sargent's activity as a maritime painter. With the exception of the two well-known Cancale oils, Sargent's seascapes have not been widely studied or reproduced, proving that even for a renowned, frequently published artist there is yet new material to be mined. Sargent and the Sea will feature works produced by the artist drawn from both public and private collections within the United States as well as Europe. By presenting Sargent's artistic career in conjunction with his personal fascination with the sea, this exhibition will reconcile these two paths of the artist's life. Sargent and the Sea is organized by the Corcoran Gallery of Art, Washington, D.C., and made possible by the support of the Terra Foundation for American Art, Christie's, The Mr. & Mrs. Raymond J. Horowitz Foundation for the Arts, Inc., and Altria Group, Inc. Additional support for the exhibition is provided by the American Masterpieces initiative of the National Endowment for the Arts and The Joseph F. McCrindle Foundation. 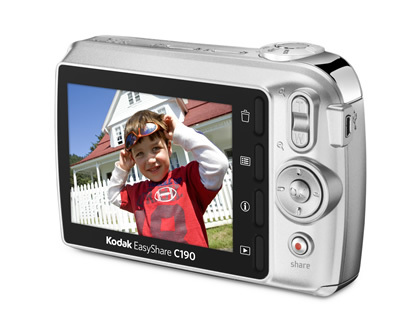 Photo: EASYSHARE C190 Digital Camera. 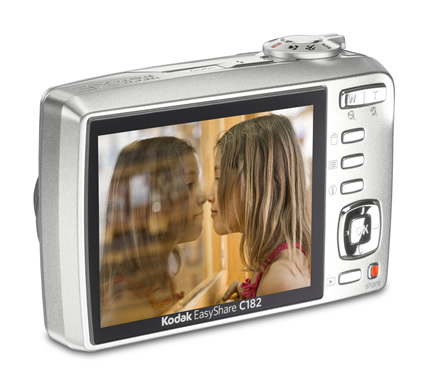 Photo: EASYSHARE C182 Digital Camera. 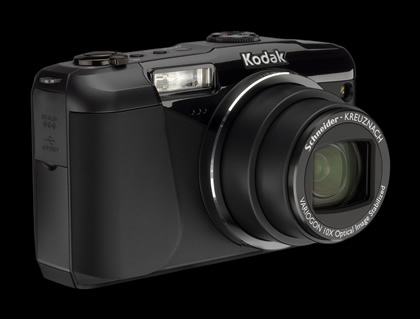 Eastman Kodak Company has introduced an array of new products that include the KODAK Zi8 Pocket Video Camera and additions to Kodak's popular digital still camera. This was announced at Kodak headquarters in Rochester, NY. "More and more consumers are enjoying the ease of capturing fun and spontaneous video and sharing it with friends and family, on the family HDTV or via social networking websites," says Blake. 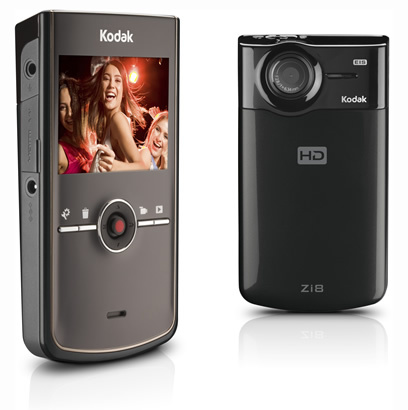 "With the new KODAK Zi8 Pocket Video Camera, consumers can capture life on the go in vivid HD, and then quickly and easily share it." 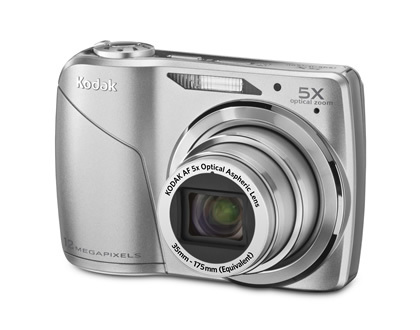 • Available in aqua, raspberry and black from September, 2009 for US $179.95 MSRP. 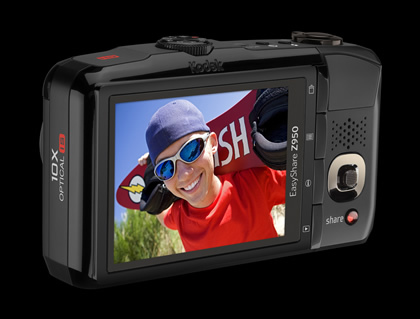 The KODAK EASYSHARE Z950 Digital Camera offers a 10X image stabilized SCHNEIDER-KREUZNACH VARIOGON optical zoom lens, providing maximum versatility for avid photographers to easily handle both distant and close-up shots. 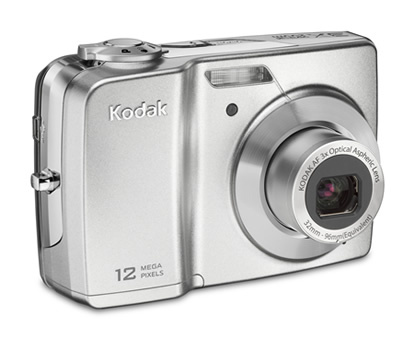 It also incorporates Kodak's Smart Capture feature, which "automatically adjusts focus, flash, and exposure for great, no-hassle pictures in virtually any setting". 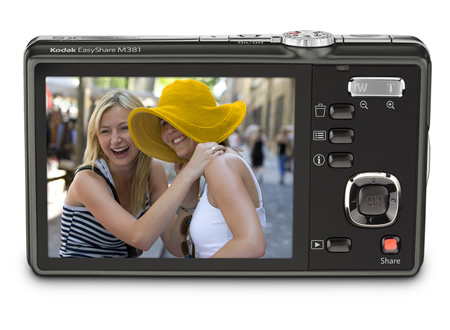 • Available for US$279.99 MSRP from August, 2009. 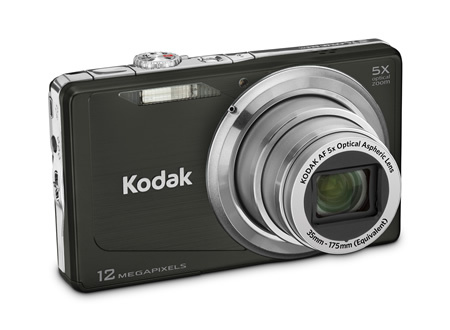 • Available in Black Olive, Light Steel Blue, and Wine Red for US$179.99 MSRP from September, 2009. 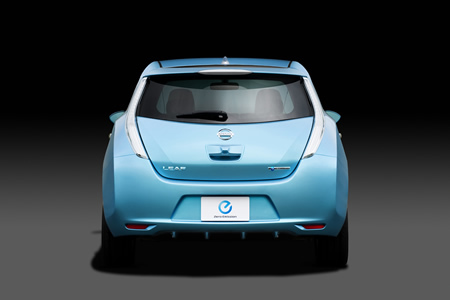 Nissan Motor Co., Ltd. today unveiled Nissan LEAF at its global headquarters in Yokohama, Japan, proclaiming that it is the world's first affordable, zero-emission car. Designed specifically for a lithium-ion battery-powered chassis, Nissan LEAF is a medium-size hatchback that comfortably seats five adults and has a range of more than 160km (100 miles) to "satisfy real-world consumer requirements". LEAF is slated for launch in late 2010 in Japan, the United States, and Europe. Ushering in a new era of mobility and zero-emission era, the car is the culmination of decades of investment and research. "The 'LEAF' name is a significant statement about the car itself. Just as leaves purify the air in nature, so Nissan LEAF purifies mobility by taking emissions out of the driving experience," the company explains. "As an added benefit, because the vehicle has less mechanical complexity than a traditional gasoline-powered car, Nissan LEAF is designed to be friendly to the wallet as well as to the environment." 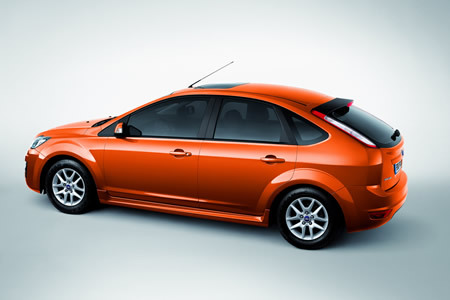 The company expects the car to be competitively priced in the range of a well-equipped C-segment vehicle. Additionally, Nissan LEAF is expected to qualify for an array of significant local, regional and national tax breaks and incentives in markets around the world. "Nissan LEAF is powered by laminated compact lithium-ion batteries, which generate power output of over 90kW, while its electric motor delivers 80kW/280Nm. This ensures a highly responsive, fun-to-drive experience that is in keeping with what consumers have come to expect from traditional, gasoline-powered automobiles." "Unlike internal-combustion engine (ICE) equipped vehicles, Nissan LEAF's power train has no tail pipe, and thus no emission of CO2 or other greenhouse gases. A combination of Nissan LEAF's regenerative braking system and innovative lithium-ion battery packs enables the car to deliver a driving range of more than 160km (100 miles) on one full charge (US LA4 mode)," says Nissan. "Extensive consumer research demonstrates that this range satisfies the daily driving requirements of more than 70% of the world's consumers who drive cars." 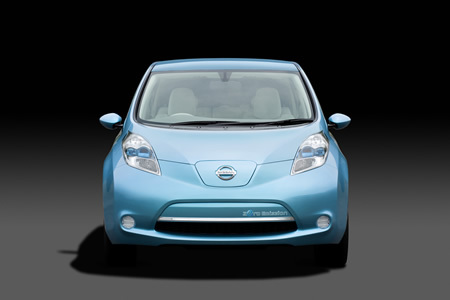 "And, Nissan's approach makes charging easy and convenient. 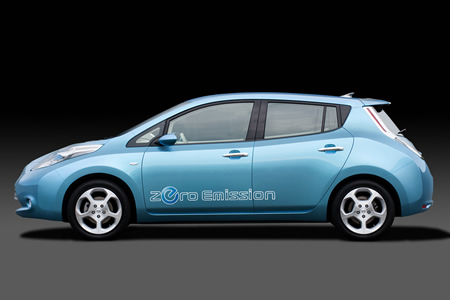 Nissan LEAF can be charged up to 80% of its full capacity in just under 30 minutes with a quick charger. 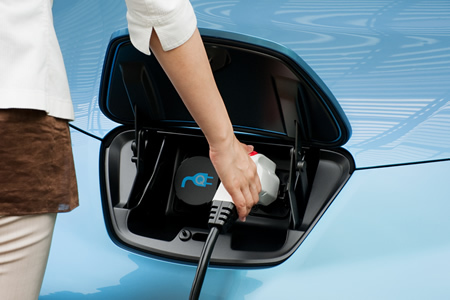 Charging at home through a 200V outlet is estimated to take approximately eight hours - ample time to enable an overnight refresh for consumer and car alike." "Our car had to be the world's first, medium-size, practical EV that motorists could afford and would want to use every day. And that's what we've created. The styling will identify not only Nissan LEAF but also the owner as a participant in the new era of zero-emission mobility," said Masato INOUE, Product Chief Designer. "The engineers and designers behind Nissan LEAF worked to create a competitively priced real-world car that would enable Nissan to lead mobility into the zero-emission era. To ensure comfort, spaciousness and cargo capacity, Nissan LEAF employs a completely new chassis and body layout." 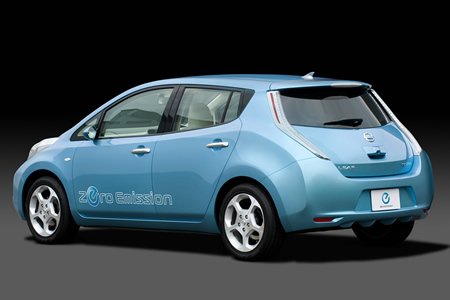 Nissan LEAF employs an advanced IT system. Connected to a global data center, the system can provide support, information, and entertainment for drivers 24 hours a day. 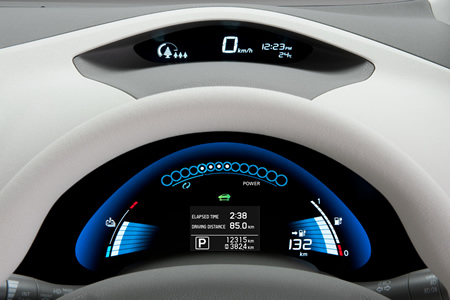 The dash-mounted monitor displays Nissan LEAF's remaining power - or "reachable area" - in addition to showing a selection of nearby charging stations. 3. Public education on the individual and societal benefits of zero-emissions mobility. 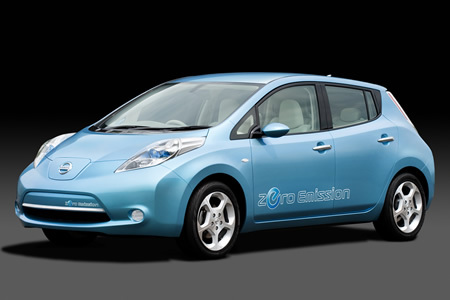 According to Nissan Motor Co., Ltd., "LEAF is the first in the company's forthcoming line of EVs and is a major milestone in the realization of the Renault-Nissan Alliance's vision for zero-emission mobility. The first of Nissan's EVs will be manufactured at Oppama, Japan, with additional capacity planned for Smyrna, Tennessee, USA. Meanwhile, lithium-ion batteries are being produced in Zama, Japan, with additional capacity planned for the USA, the UK and Portugal, and other sites for investment are under study around the world". Source: Nissan Motor Co., Ltd.
"Silence is the element in which great things fashion themselves together; that at length they may emerge, full-formed and majestic, into the daylight of life, which they are thenceforth to rule." "All marketing managers, all auto makers, all car enthusiasts, all environmentalists, and all advertising & branding agencies may not agree that LEAF is a good name for a car. But all leading political strategists would certainly agree that, in this case, LEAF is a Winning Name. This is so because top political strategists work at a finer and deeper level of advertising and branding. And this naming just corresponds to that. All Nuclear Powers Should Commit to Multi-Lateral Negotiations for Elimination of All Nuclear Weapons. Political and military leaders at the forefront of the Global Zero initiative, a nonpartisan international effort to achieve a phased, verifiable plan to eliminate all nuclear weapons worldwide, have expressed support for President Obama's Prague speech and the newly announced U.S.-Russian effort to eliminate nuclear weapons. And they have called on their own governments to commit now to participating in multi-lateral negotiations for an agreement to eliminate all nuclear weapons worldwide. In his speech in April, President Obama had said he will "seek to include all nuclear weapons states in this endeavor." Air Chief Marshal (ret.) Shashindra Pal Tyagi, former Indian Air Force Chief "India has always supported the vision of a nuclear weapons free world. Now that the leaders of the U.S. and Russia have declared their desire to achieve Global Zero, India needs to actively support the movement and participate in a multi-national initiative to ensure a phased, verifiable and time-bound program to eliminate all nuclear weapons." K. Shankar Bajpai, former Secretary of the Ministry of External Affairs of India "The US-Russia summit commitment to achieving Global Zero is as heartening as it is vital. These are the two powers who must set, not just the pace, but the example we can and must all follow. To be clear, Global Zero does not rest with partial disarmament: all states must abandon all nuclear weapons. I am privileged to be among those supporting this vital cause and to join in urging all states, not least my own, to follow up on the US-Russian statement, swiftly and constructively." Gen. (Ret.) Jehangir Karamat, former Chairman of the Joint Chiefs of Staff, Pakistan "The Obama-Medvedev declaration is a very real and tangible step towards reduction of nuclear weapons and transcends regional and other concerns. Pakistan should, and I am sure will, be supportive of this initiative." Maj. Gen. (retired) Peng Guangqian, Chinese Defense Analyst "Elimination of all nuclear weapons globally is a long process, but most importantly, the U.S. and Russia have taken the first step. China always advocates a complete ban and ultimate elimination of all nuclear weapons. As a country with nuclear weapons, China has demonstrated that it will not avoid the responsibility and obligation in nuclear disarmament." Malcolm Rifkind, former Foreign Secretary, Defense Secretary of the United Kingdom "It is critical that all of the other nuclear powers commit now to participating in multi-lateral negotiations on an agreement to eliminate all nuclear weapons worldwide - Global Zero. 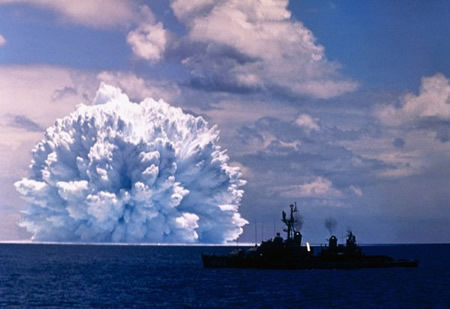 Getting to Global Zero will require the phased and verified reduction of all nations' nuclear arsenals over many years. 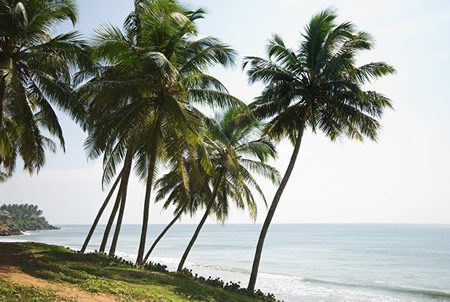 It is urgent that we begin now." Chuck Hagel, former U.S. Senator "The launch of the North Korean missile - in addition to demanding the aggressive pursuit of the six-party talks - should be viewed as an urgent call for the leaders of all the nuclear countries to support Presidents Obama's and Medvedev's bold and historic effort to achieve the only real and lasting solution to proliferation and nuclear terrorism: the elimination of all nuclear weapons - Global Zero." "Of course -- as is always the case in serious negotiations -- there are a host of difficult issues that must be resolved in order to reach a new arms control agreement," said Ambassador Richard Burt, who was the top U.S. negotiator for the START 1 negotiations and now leads Global Zero. "But the presidents' joint statements today make it clear that they will not let these issues stand in the way of the priority goal they set April 1: establishing joint U.S.-Russian leadership to reduce their two arsenals and to lead an international effort for the elimination of all nuclear arsenals to zero." 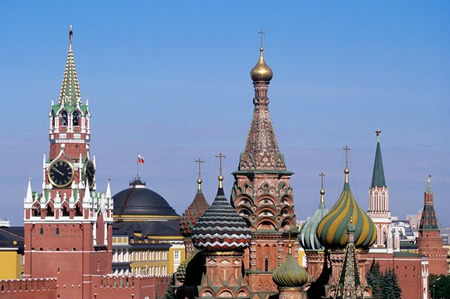 "The key to achieving global nuclear disarmament is the improvement of US Russia relations," said Senator Mikhail Margelov, Chair of the Committee of International Relations in the Russian Federation Council and a founding member of the Global Zero initiative. 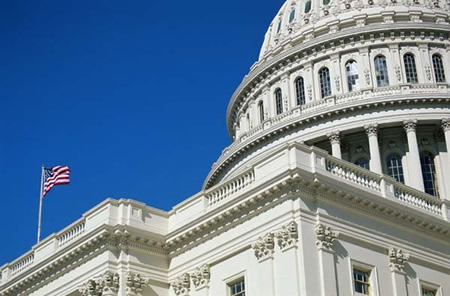 "We face a number of stumbling blocks including the expansion of NATO and missile defense systems in Eastern Europe, but these are issues we can work through. Our main goal must be to create a world without nuclear weapons." Global Zero is spearheaded by a group of more than 100 leaders worldwide, including many who have worked at senior levels with issues of national security such as former heads of state, former foreign ministers, former defense ministers, former national security advisors, and more than 20 former top military commanders. Meanwhile, former senator Sam Nunn, Co-Chairman, Nuclear Threat Initiative, has issued a statement saying "I strongly support the commitment made by the leaders of the G8 nations meeting in Italy to create the conditions for a world without nuclear weapons and to work together to reinforce global nonproliferation efforts." "The leaders of the G8 nations have laid out an ambitious nonproliferation agenda that recognizes the fundamental principle that we are in a race between cooperation and catastrophe. Most importantly, they understand that the essential steps required to reduce nuclear dangers must be accomplished together -- with the cooperation of all nations," says Nunn. "We must do all we can to prevent nuclear weapons and materials from getting into dangerous hands, to prevent their proliferation and, ultimately, to end them as a threat to the world." Sources: Global Zero, Nuclear Threat Initiative. "There is one thing stronger than all the armies in the world, and that is an idea whose time as come."